Leicester City soccer club owner Vichai Srivaddhanaprabha, a Thai tycoon, was killed along with four others when his helicopter crashed and then exploded after a Premier League match on Saturday, the soccer club and police said. Vichai bought the unheralded central England side in 2010 and went on to stun the soccer world by beating odds to win the Premier League title in 2016 in what amounted to a sporting fairy tale. The father of four and founder of duty-free King Power International was a huge favourite with the club’s fans. 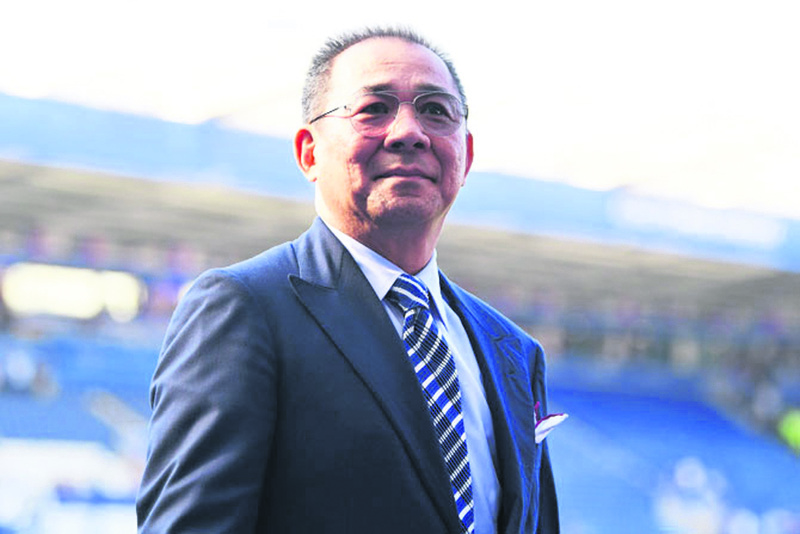 “It is with the deepest regret and a collective broken heart that we confirm our chairman, Vichai Srivaddhanaprabha, was among those to have tragically lost their lives on Saturday evening when a helicopter carrying him and four other people crashed outside King Power Stadium,” a club statement said. The aircraft came down in a car park near the King Power Stadium, about an hour after the end of Leicester City’s game against West Ham United, police said. The other victims were two members of his staff, Nursara Suknamai and Kaveporn Punpare, pilot Eric Swaffer and passenger Izabela Roza Lechowicz, Leicestershire Police said. No one on the ground was injured, they said. According to witnesses, the helicopter had barely cleared the top of the stadium before it started to spin. It then plummeted to the ground and burst into flames. After pumping millions of pounds into the club, Vichai helped steer Leicester back into the top flight in 2014 before they stunned the lovers of football by beating the likes of Manchester United, Liverpool and Chelsea to become champions of England. Hundreds of fans laid flowers, football shirts and scarves outside the stadium in tribute to Vichai on Sunday. According to Forbes magazine, Vichai was the fifth-richest person in Thailand with an estimated net worth of $4.9 billion. The self-made businessman’s duty-free company, founded in 1989, was granted an airport monopoly in 2006 under the government of Prime Minister Thaksin Shinawatra. It continued to prosper even after Thaksin’s ouster in a coup that year. The family’s empire also includes Belgian football club, Oud-Heverlee Leuven. 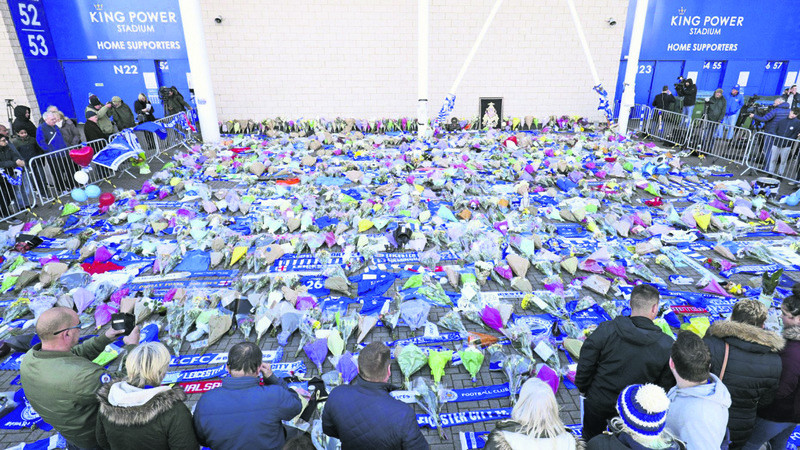 Keith Vaz, Member of Parliament from Leicester East, in a condolence message said, “The tragedy that took place at the King Power Stadium will be seared on our minds forever. Khun Vichai was a kind and generous man and a devoted father, grandfather and a good friend. He took this city to the top of the world. From that great triumph we now have this unbearable tragedy. No match at the King Power Stadium will ever be the same again. It is truly the saddest day in the Club’s history. I travelled with him by train two weeks ago and he was greatly enjoying the season but he wanted to qualify for the Champions League again. His ambition for the Club was boundless. He enjoyed the total support of the fans who adored him and he loved them back, showering them all with special surprises. 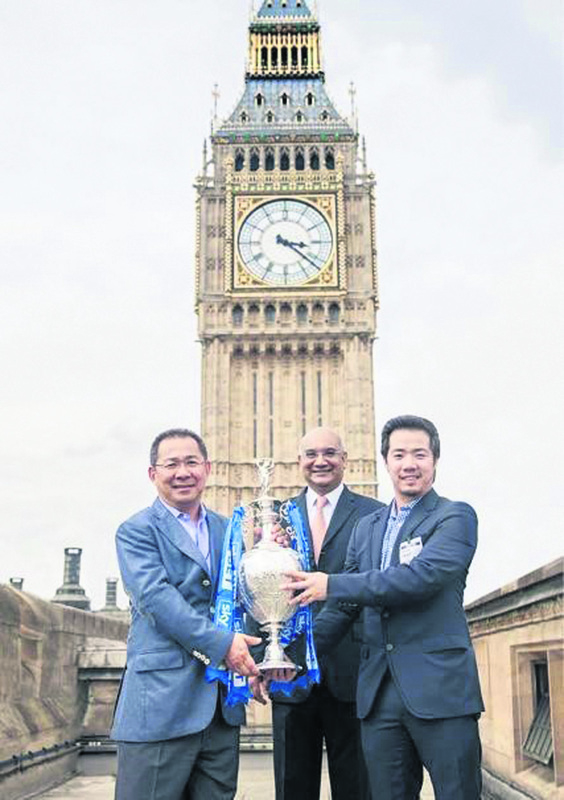 When we won the Championship I took him onto the roof of Parliament to celebrate. The Jalaram temple and the Baps Mandir both held Aartis and offered condolences to all those who perished in the crash. Later a walk to the King Power Stadium was organised and wreaths were placed in memory of the departed souls. The Leicester city has been in mourning following the tragic death of Vichai Srivaddhanaprabha. The tragic accident has shocked the football world and even today, almost three days later, fans are still flocking to the club to pay tributes to the 60-year-old Thai billionaire. In a poignant scene, Leicester vice chairman Aiyawatt Srivaddhanaprabha, Vichai’s son laid a floral tribute at the King Power Stadium on Monday. 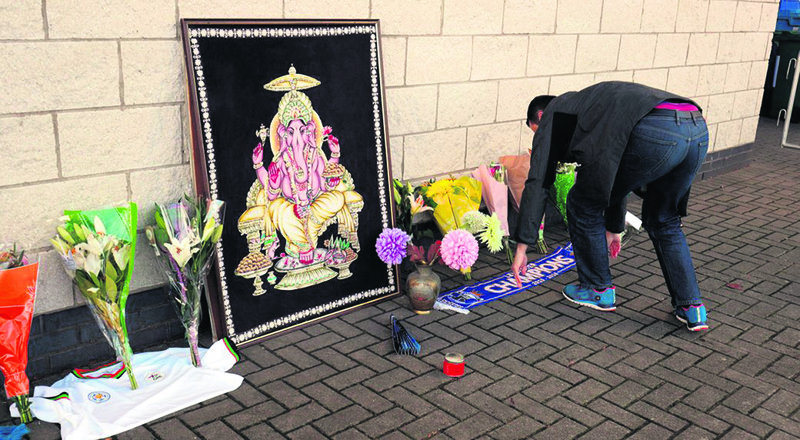 Elsewhere at the Jalaram Temple on Narborough Road, local devotees gathered – some donning their official LCFC supporter scarves – to pay respect to the departed souls. BBC Radio Leicester is organising a multi-faith and no-faith moment for sports fans to gather to remember the tragic loss and wear their sports colours. Representatives from other sports clubs have also been invited to attend the event at the Jalaram Temple on Narborough Road.